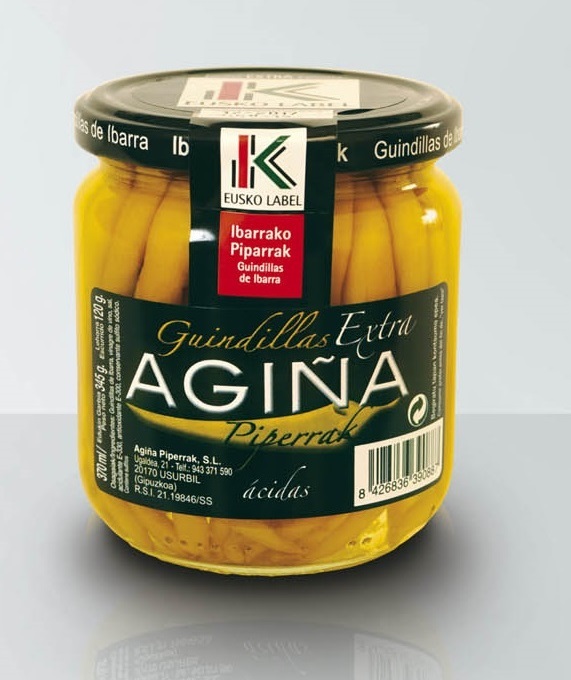 They present packed in storage jar or different sizes with the etiquette of control numbered of eusko label quality, symbol of quality guarantee and food genuineness in the Basque Country. Ibarra chilli peppers is botted in vinegar of white wine with few acidity and little contained in salt. All these characteristics award a special and agreeable smoothness to the palate. 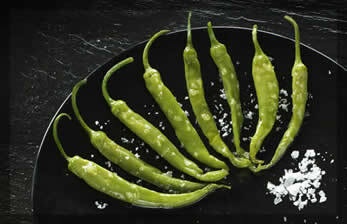 We are the first that released the delicious Ibarra fried chillies with Eusko Label, ready to eat at any time of year. For the preparation, without thawing chili peppers, are heated in the microwave on high for one minute and a half, once hot, season to taste and consume. Varietal type Arroniz extra virgin olive oil, obtained directly by mechanical extraction in cold, without adding temperature to extract the maximum flavour from the olive. - Vegetable aromas ; green olives , olive leaf , artichoke and freshly cut grass.